Some "poorly performing" Auckland projects are being blamed for tipping Ebert Construction into receivership. Lara Bennett, John Fisk and Richard Longman from PwC were on Wednesday evening appointed receivers to Ebert Construction Limited as a result of a request made by the Ebert Board of Directors to its bank. 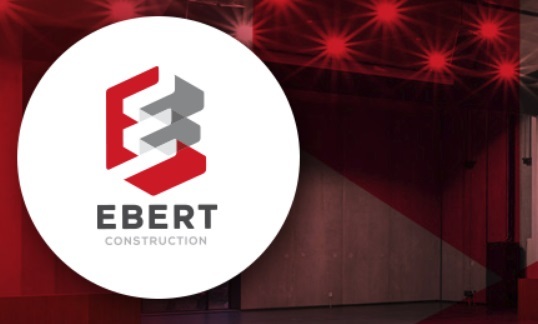 A statement from the receivers said that Ebert’s Board had advise that it and the company’s newly appointed senior management team had been working to improve a number of poorly performing projects in the Auckland Region which have adversely affected the Company’s financial position. "Last week, the Board was advised of likely substantial increases in the expected costs to complete those poorly performing projects. Alongside those poorly performing contracts, the Company’s portfolio of projects includes several well performing contracts. Notwithstanding this, the Directors formed the view that the Company could no longer continue trading given the impact of the actual and anticipated losses." Fisk reportedly expects Ebert to have a shortfall of about $40 million. He said the only firm affected was Ebert Construction Ltd.
"None of the other companies in the group are in receivership." Ebert's sites also include Middlemore Hospital in Auckland, the Indian High Commission in Wellington and a number of projects in the South Island, he said. The firm has previously done extensive work related to the dairy industry, and also for the defence force, and going back further it worked on Wellington Airport. Probably the root cause is Auckland Council planning dept. They are randomly introducing delays, rework, and fees that cannot be anticipated or planned for. Blowing out project durations and expenses beyond any reasonable contingencies. Probably many more to come given slowing housing market. The root cause will be the bidding team's ignorance of markets and finance. There may have been a breach of debt covenants. Absolute rubbish. The construction industry is booming, this has nothing to do with a reduction in work volumes. The issue will be that Ebert signed up to complete work for a fixed or near fixed price on a wafer thin net margin of a few percentage points, and they found that construction inputs costs for materials and labour have escalated well beyond that. Of they just cant get the staff they need. There is persistent underpricing of risk in the construction industry as construction companies are run by engineers who really just want to "build stuff" regardless of whether or not they actually make any money out of it. Rising construction co cash flow just cascades through companies like Ebert like water through a sieve and flows out the bottom to employees and materials suppliers. My guess would be that the retained margins are no better than what they were 10 years ago, the construction industry is best characterised as a group of equity investors standing in a circle and cutting their own throats. Its an absolute dog of an industry. What usually happens in our industry (municipal supplies) is a fairly large company will put in a low ball competitive bid on a Local Government Tender to win the job. These are normally scheduled as lump sums. From there they will screw subbies and suppliers down on price in a Dutch Auction process, and try to claw back their margins through project variations. Problem is, if the subbies and suppliers are already tapped out then there's no wiggle room at that end. Or if the consultants have been quite meticulous when preparing the tender documents then there are very few variations to be had. Yea. That's exactly what I hear, too. The method of profitability has most definitely diversified to variations. It's a plague of a practice as it simply incentivises everyone along the production chain to underprice work and focus on creating variation in original spec. A crazy way of doing things - and we wonder why we see huge price volatility/inflation in the construction sector. Also from what I hear recently, this is just the tip of the ice-berg. There are a lot of subbies/smaller companies out there in the construction sector struggling to get paid at the moment. I have a no variation design approach. This has disappointed many contractors when they find themselves fighting to receive nothing. There are also warning signs within a few companies where they will try to backstab consultants and this is usually when they are trying to get away with cutting corners by not completing the work. Operating on razor thin margins does not produce the quality of construction required by the building code. The thing that's fairly rampant in our industry is a box of $100 prezzie cards dropped on the consultant/engineers desk in exchange for a supply agreement. "Certainly sir, how many tickets to the All Blacks game do you need?". All very well and good if it's all privately funded work but for LG Tenders every $1000 of kickbacks given that's $1000 the ratepayers or tax payers could have saved in their capex budget. Union Green ,most likely will breach contractural clauses,lawyers ,insurers,recievers. New Zealand expects to build how many homes for x dollars. But if builders are getting laid off what happens to the price of labour? What happens to the employees who now have no employment and unable to get a new job within a reasonable period? What happens if they are also a highly indebted owner-occupier? What happens to the sub-contractors who then may have financial difficulties as a result of not getting paid for a period of time or getting paid less than 100 cents on the dollar? Will they look to lay off staff? What happens if they have staff who are unable to find new employment within a reasonable period and they are also highly indebted owner-occupiers? That's the real kicker. Those employees would have had in the back of their mind they're in stable employment during a construction boom, like you said some have probably bought themselves a house and started a family. I hope that the affected manage to find alternative employment arrangements fairly quickly. What happens to the new Holden Colarado and Ramco boat loaded on the house? what happens to the holiday bach, investment property portfolio (perhaps negatively geared) where the initial purchase deposit was financed by leveraging up on the house to maximum allowable LVR levels? This just bring further into question NZ construction industry capability in dealing with large scale construction projects. One of the biggest challenges in front of the KiwiBuild project is this lack of capability. These failures may indirectly indicate that the actual cost of constructing apartments (if built properly) will go higher than current level. This makes building affordable housing in desirable Auckland locations (that has to be apartments) even more difficult. Finally, failures of big construction companies make investment in apartments even riskier, making it more difficult to attract investors (who may also expect a higher return, reflected in prices that no one can pay therefore brining the feasibility of the project under question). I know that the crazy hike in house prices between 2015-2017 was mainly due to a flood of credit (used by both domestic and foreign buyers) and QE, but one has to admit that what backs these crazy prices (at least partially) is how expensive to build in NZ and how inefficient NZ construction sector is. You are getting it the wrong way round. The credit bubble has pushed up demand for construction and the amount of money available to pay for it. So wages and materials prices have also risen, and construction cos are a direct pass through of those costs. As a general rule increased profitability of the construction cos has been a function of the larger cashflow to which they can attach their margin, not an increase in those margins. The credit bubble has been a major factor in increased construction costs as those costs have swollen to reflect that increased credit. The same with land prices, which is where the credit bubble has had its biggest impact. High construction costs and land costs aren’t the “cause” of high development costs but are the symptoms of a common cause, being the unrestrained growth of credit. When credit shrinks so will those costs. Land is always the first to fall. Half price sections by Christmas.... Jeez, I wouldn't have wanted to have been speculating on land for capital gains, what with no income potential from a tenant, that is suicide at the end of a credit cycle. Almost 2000 sections for sale in Auckland now so let's see who's leveraged up. Haircuts all round.. which banks have lent the most for section purchases? Wage rates have reached ridiculous levels , a high school drop out with a nail gun on a building site is charged out at the same rates paid to young Doctors . Mis-pricing of work has been a feature in the Fletcher's fiasco and others . Developers are being squeezed with holding costs due to all manner of unforeseen delays in getting projects off the ground and onto market . Of course Kiwibuild could come along just in time to rescue the sector , and hey presto all the risks of the high stakes game called property development will be magically passed on to the Kiwi taxpayer . Kiwibuild had better come along quick as another developer has just gone pop this afternoon in Christchurch. Why so the Taxpayer can be ripped off yet again. Construction Industry needs to geat its act together. It's the 'carry' which does 'em in - holding costs such as interest, construction cost inflation, having to re-negotiate deals if delivery deadlines have to be re-jigged - it's a long, long list. Time injected into a schedule causes quite direct costs. Sorry, but the construction industry’s problems are self inflicted ones which have zero to do with public sector regulation. Absolutely zero. There is plenty of work, the issue is that the industry is unable to manage the pricing and resourcing risks that principals are requiring them to assume. Given the wafer thin margins in the industry when projects go bad the whole business can collapse. A couple of bad projects can wipe out 10 years EBIT. Good old race to the bottom eh, you pick up enough speed and people start falling over and breaking things. This receivership is only about avoiding liability. In the face of legal action, Ebert has run away from it's responsibilities.